75,000g Capacity Ohaus Digital Field Scale, 20.0g Readability - Gilson Co.
OB-165 75kg Ohaus Digital Field Test Scale has 20g readability for precision field weighing of concrete, asphalt, aggregate and soil samples. Its 165lb (75kg) capacity ensures solid performance in construction materials field testing applications. 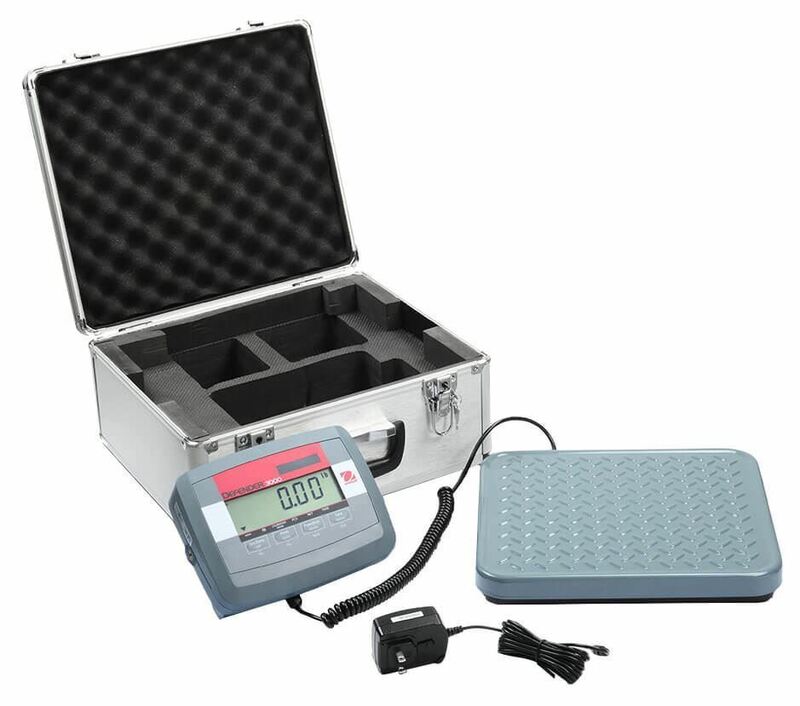 Selectable weighing units of lb, oz, lb:oz, kg and g. Weights display on a high-contrast, backlit six-digit LCD display that features a 1in (25mm) character height. The included bi-directional RS-232 data port enables communication with computers or printers. The portable unit operates on an internal rechargeable battery that lasts up to 70 hours between recharges and comes with a 9V DC adapter/charger. The battery’s auto-off feature extends battery life. The unit is constructed with an ABS plastic indicator with reinforced ribs, and a painted steel platform with embossed tread. It is supplied with an in-use cover. The indicator attaches to the platform with a 9ft (2.7M) coiled cord, included. The scale also features selectable span calibration points, auto-zero tracking, and a keyboard with raised touch keys. 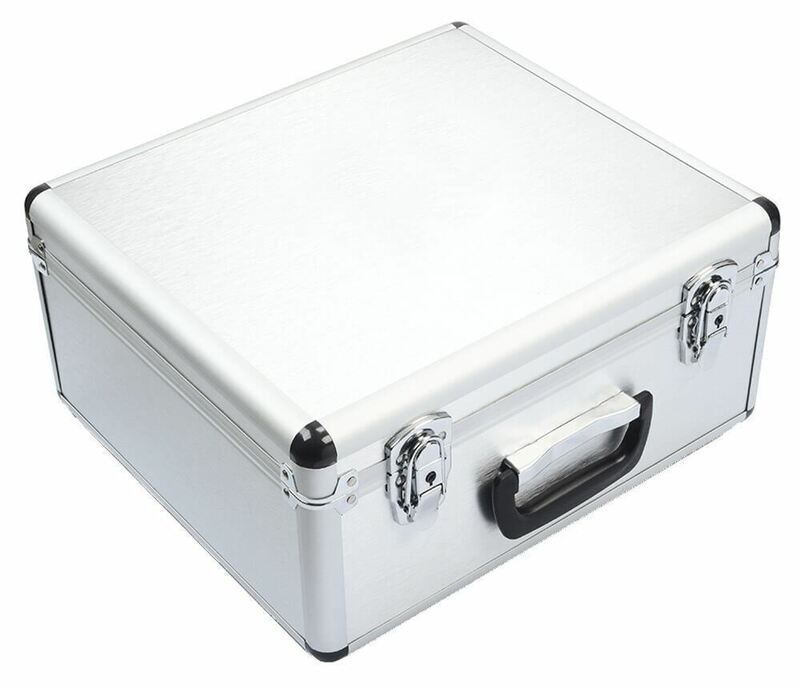 It comes with a foam-lined rugged metal carrying case with steel latches and sturdy carrying handle for easy transport in the field. The scale meets ASTM C29, ASTM C138, AASHTO T 19 and AASHTO T 121 requirements for concrete unit weight and yield tests. Platform dimensions are 11x12.4x1.8in (280x316x45mm). 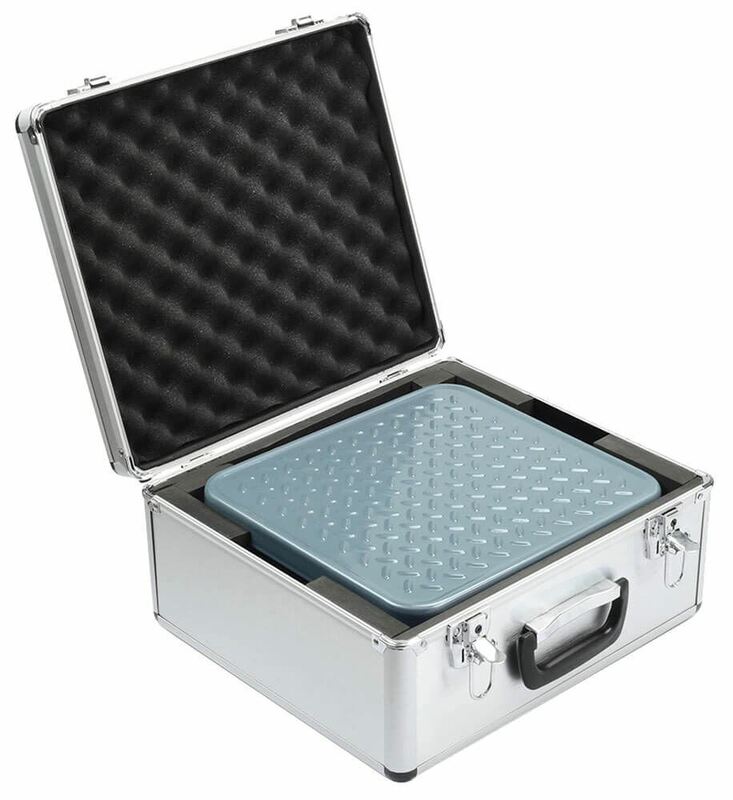 Product dimensions with carrying case are 15x13.5x7in (381x343x178mm).